Invisalign® straightens your teeth using a series of custom-made aligners created for you and you, only. These trays are crafted of smooth, comfortable and nearly invisible plastic that you wear over your teeth. They gradually and gently move your teeth into place. There are no metal brackets to glue to your teeth and no wires to tighten. You just pop in a new set of aligners about every two weeks until your treatment is complete. You’ll create a great smile with very little restriction in your daily activities. The aligners are easily removable, so you can continue to brush and floss your teeth as you normally would. Cleaning the aligners is really easy too, with an Invisalign cleaning kit. Or you can simply brush and rinse them in lukewarm water. That’s it! Creating that amazing smile couldn’t be more simple! You also remove the aligners each time you eat. That means that you can continue to eat all the foods you love without any worry about food getting caught in the wires and brackets of traditional braces. With those other teeth-straightening methods, the simple act of eating can often be difficult. If you are active in contact sports, using Invisalign lets you play without having to worry about sharp brackets cutting your mouth. And, if your sport requires you to wear a protective mouth guard, simply remove the aligners and you’re good to go! Finally, your bedtime routine can continue just like it always has, with the simple addition of cleaning your aligners. You don’t have to struggle with flossing and brushing in between wires and brackets, saving you from a cumbersome and time-consuming chore. No matter what stage of life you’re in, you’ll appreciate how this cutting-edge approach to treatment has almost no interference in how you live but has a wonderfully positive impact on how you look and feel about yourself. Our local dentists and orthodontists are dedicated to providing services that give you bright and beautiful smiles. If you have any questions about our Invisalign services in our New Hyde Park office, don’t hesitate to give us a call and speak to our knowledgeable staff members. 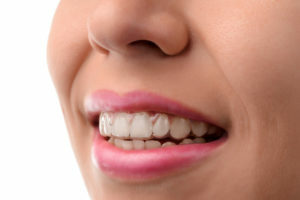 Ask us about the best Invisalign New Hyde Park dental treatment.